Just occasionally in this gaming lark, you stumble into something that completely upends your expectations and leaves you laughing out loud at its invention. Astro Bot is a glorious example of that rare beast. It grabs the existing conventions of a platformer, mashes them together with virtual reality and conjures a delightful confection, of which even Super Mario king Nintendo would be proud. Rescue Missions spins off a fairly routine mini-game in the PSVR launch line-up, about a little bot salvaging his pals from sticky situations. This expanded version takes the idea and runs hell for leather, riffing brilliantly on the VR world, positioning you as a god-like entity assisting the waddling bot to navigate 3D space. You'll be craning your neck, looking behind, above and below as you follow his platforming movements - but you're also part of the world, headbutting obstacles and providing a tightrope for the bot to reach higher ground or a water cannon to trigger platforms. The game mechanics knowingly ape Super Mario but each level brims with clever tricks and twists, sending you up in the air (vertigo sufferers need not apply), under the ocean, into a mine cart. The end-of-level bosses are a dazzling treat, giant characters combining wit and just a little bit of terror. 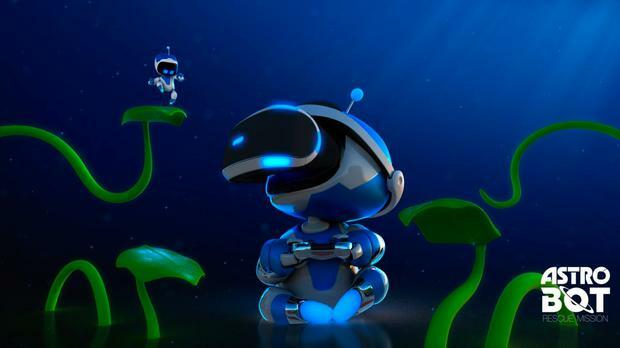 The PS4 doesn't lack for decent VR experiences nowadays but Astro Bot knocks the lot of them into a cocked virtual-reality hat. The world probably doesn't need another Super Mario Party game - but we've got one anyway. This rendition of the long-running virtual board-game is equal parts simple, silly and sassy. It follows the familiar SMP template of characters throwing dice to move around an animated board, interspersed with mini-games. Thankfully, the fiddlier ideas of recent titles have fallen away and this Switch edition makes good use of single Joy-Con controllers for entertaining couch face-offs. The boards themselves feel tricksier and less linear, something than compensates for the fact there are fewer of them in number. Solo players will, as always, find little to detain them here but in groups of two to four SMP is a bit of a hoot.